Are you looking for the best restaurants in Ilkley? Whether you’re pining for a pizza or can’t wait to tuck into some delicious Thai food, in this round-up, we’re taking a look at some of the most highly regarded restaurants in the famous spa-town. It goes without saying that there’s a whole world of excellent eateries in the nearby city of Leeds, but did you know that this small town is home to some establishments that could give many restaurants in Leeds a run for their money? Ilkley has a wide-reaching reputation as a travel destination. It’s home to the Cow and Calf rocks after all. What’s more, it has a well-established array of things to do, including fantastic shopping, with countless independent businesses. Rstaurants in Ilkley, range from fine-dining to casual eating. Whether you’re spending a weekend in Ilkley and are a lcoal looking for the perfect place to eat, this is round-up will guide you through your choice. The Olive Branch is a stylish and modern Turkish restaurant, whose success is such that they now have seven restaurants across Yorkshire. Having gained first opened and gained popularity in Hebden Bridge for their creative and intricately crafted Turkish cuisine, it’s a delight to find another branch of the restaurant in Ilkley. Inside, you’ll find a modern restaurant with wooden beams and rustic stone walls. On the menu, there’s an eclectic array of dishes, including hot and cold starters, main dishes, sharing platters, traditional dishes and even pizza’s. In terms of price, you can expect to spend anywhere from £5 – £8 for a starter, mains average out at around £16 and sharing platters are available from £12.95. Drinks are reasonably priced with a large glass of wine costing around £5.50. Emporio Italia is a cafe which transforms into a restaurant in the evening. Family run and specialising in Italian cuisine, they’re tucked away and fairly unassuming. However, they have a great reputation. One visitor who ate there recently said “Oh Lordy! This place is authentic Italian! It does not get better than this! Amazing appetiser followed by owner explaining each main course offered. Main course of stuffed chicken wonderful. Desserts amazing – pecan pie to go back for! 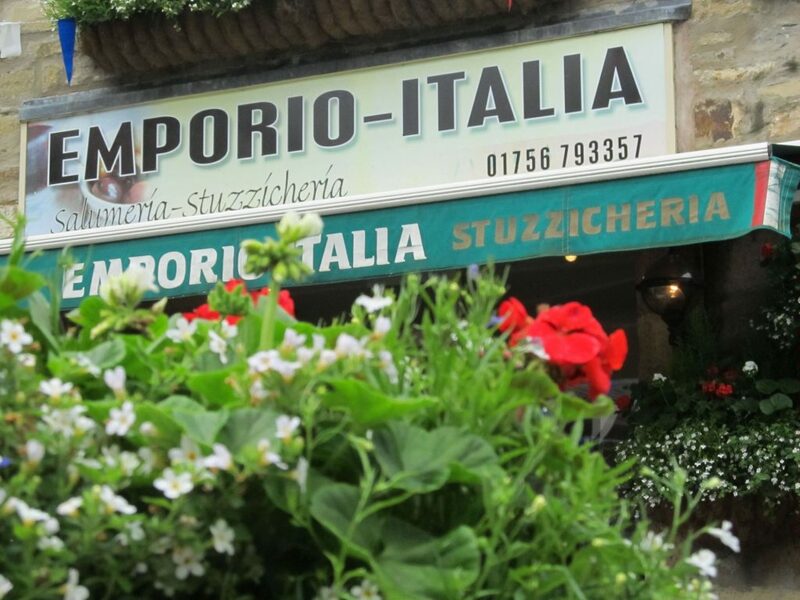 Emporio Italia is reasonably priced often being cited as one of the best value restaurants in Ilkley. Friends of Ham, 8 Wells Rd, Ilkley LS29 9JD. 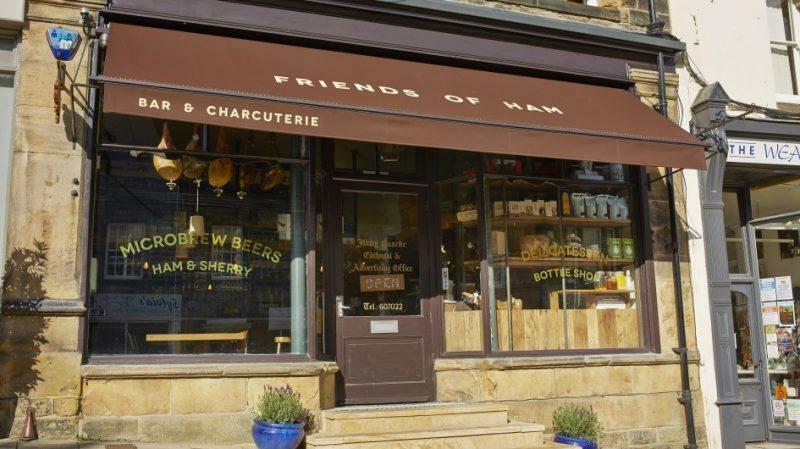 Friends of Ham is a relative newcomer to the culinary offering in Ilkley. It opened its doors in late 2015 after the resounding success of the concept in Leeds city centre. Specialising in high-quality, simple yet delicious food in the form of meat and cheese, Friends of Ham is all about the flavours rather than construction of complex dishes. They’re found in the ground floor and basement of the old Ilkley Gazette offices on Wells Road. It’s a fairly trendy place in comparison to the other restaurants in Ilkley, with a rustic, stripped back yet charming interior which remains inviting. As well as the specialist meat and cheese available, Friends of Ham is crazy about craft beer, good wine and other drinks. It’s far from a fine-dining experience, but if you’re looking for a casual, no-thrills lunch or dinner, with a delicious glass of something special, Friends of Ham comes highly recommended. On the menu, you’ll find an array of options, with their sharing boards being the highlight in my opinion. Their Spanish Board includes Iberico Recebo Ham, Iberico Bellota Chorizo, Zamarano Gran Reserva (Sheeps, UNP) Garrotxa (Goats, P) at £18.25 – It’s just about enough two people (if you’re a bit greedy like me) and of course you can add more if you like. How much you spend really depends on how many items you feel like. Their bar snacks and sides range from £1.50 to £6 and their sharing boards anywhere from £5.75 to £18.25, with the option to scale up by adding more meats and cheeses. The Wells, 7 Wells Rd, Ilkley LS29 9JB. 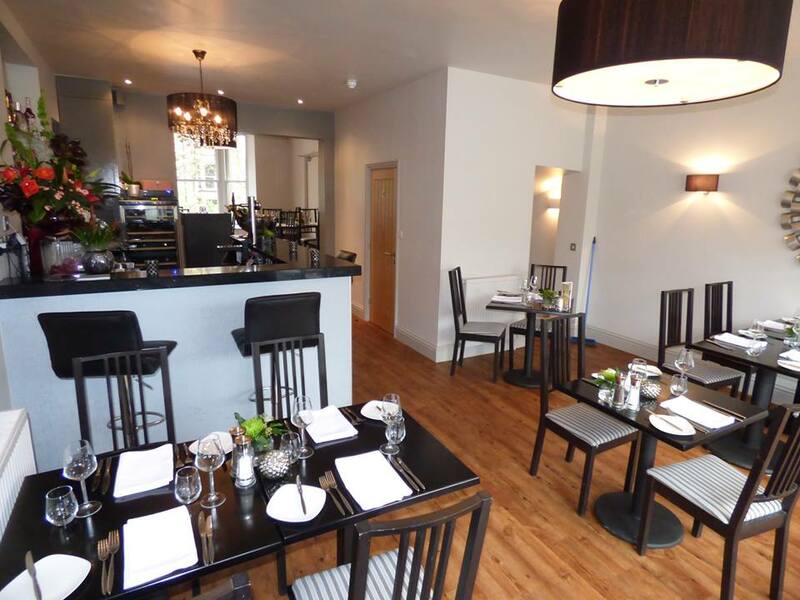 The Wells Cafe & Bistro is a relaxed, friendly and family run restaurant found in the heart of Ilkley. They have a significant focus on showcasing locally sourced, high-quality ingredients through their seasonal menu of creative dishes. Having been refurbished to give it a more modern feel in 2012, it’s a firm favourite of many locals and visitors alike and often attracts attention for the fantastic smells which invite you in when walking past. Their menu changes regularly and includes dishes inspired by different cultures, although it could be most aptly categorised as Modern British. 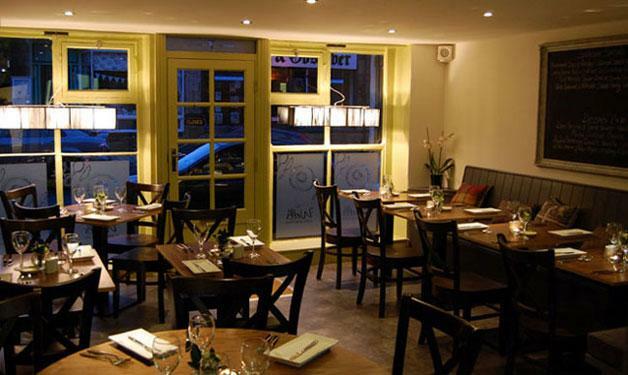 It’s often cited as one of the best restaurants in Ilkley. The head Chef Richard began his career just a few minutes away at the then 2 Michelin Star restaurant the Box Tree before a vibrant culinary career in many of the area’s best restaurants. His skill and passion is evident in the food and makes for a delightful eating experience. Wells Cafe & Bistro offer an early bird menu for diners who visit before 6pm which includes 2 courses at £14.50 and 3 courses at £17.50. Those visiting after 8pm can get 2 courses for £17.50 and 3 for £21. 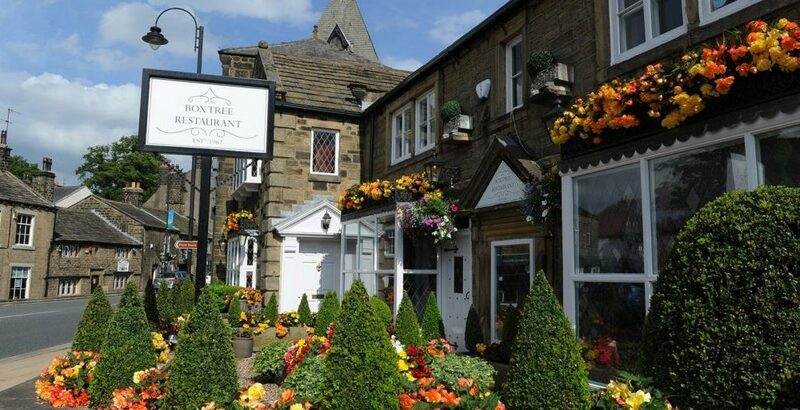 The Box Tree, 35-37 Church St, Ilkley LS29 9DR. There are few foodies in Yorkshire who haven’t heard of The Box Tree. It’s famous for being one of the few restaurants in Yorkshire to have held perhaps the highest accolade in the restaurant industry, a coveted Michelin Star. The only one of the restaurants in Ilkley to have achieved this. The Box Tree is a fine dining restaurant with a beautiful and inviting exterior. Their focus is to make every service as special and exciting as that previous, and they have developed their magnificent reputation in this vain. Their menu changes by the day depending on seasonal availability although includes the likes of Seared Native Lobster, Confit Chicken Wings, Spinach, Pineapple, Sweetcorn, Maple Foam. The Box Tree’s A La Carte menu costs £70 per person, Their Menu Gourmand is £85 a head and Sunday Lunch will cost £45 per person. La Casita, The Victoria Arcade, South Hawksworth Street, Ilkley, LS29 9DY. 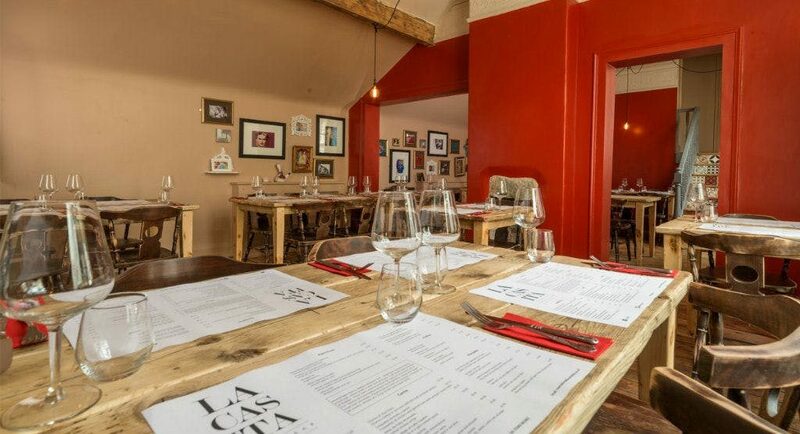 La Casita is another one of the restaurants in Ilkley which has multiple locations across the region. They are a Tapas restaurant, found within the beautiful Victorian Arcade in the very heart of Ilkley. They offer a warm and welcoming service with a delightful atmosphere which is akin to the Tapas style of eating. La Casita’s menu is diverse and offers a selection of all kinds of cuisines, although its primary focus is traditional Spanish cuisine. The interior of the restaurant also focuses on this Spanish theme, with rustic wooden table tops, Spanish photography on the walls and a vibrant colour scheme. La Casita is relatively affordable although as always with Tapas, the price can soon add up depending on the amount of dishes you order, however the portions are generous. The offer an early bird menu from 5 – 6.30pm Monday, Tuesday and Wednesday where you can choose three Tapas for £13 and makes it extremely good value for money. The Vine, 7 The Grove, Ilkley LS29 8AF. 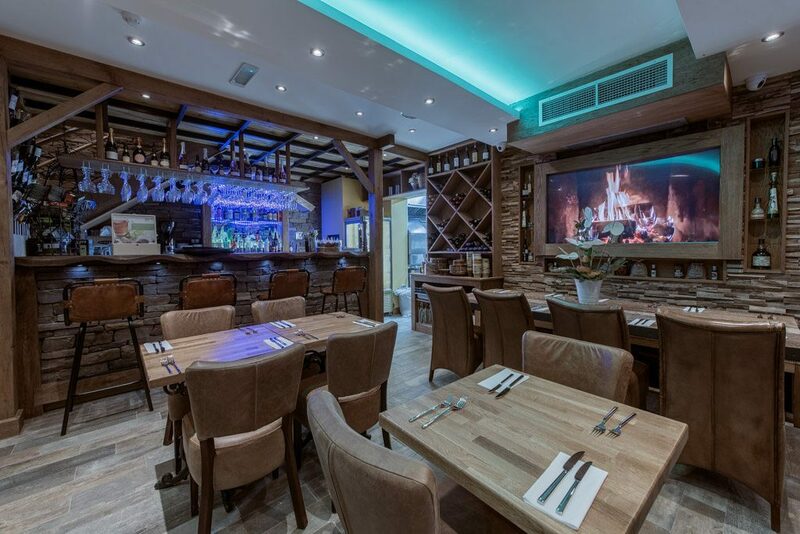 The Vine is a family run Italian restaurant found in the heart of Ilkley. It launched in 2012 and has sinces developed a great reputation for its delicious mediterranean food. Run by Alvino and Galo, who are originally Ecuadorian and have many years experience in the restaurant industry. They are passionate about using locally sourced ingredients. On the menu you’ll find the likes of starters such as Gamberoni all’Aglio – King prawns with garlic, chilli, cherry tomatoes and white wine served with ciabatta and rocket (£8.50.) Antipasto Rustico – a selection of cured meats, marinated peppers, sun blushed tomatoes, buffalo mozzarella and olives. Mains include a big selection of Pizzas, ranging in price from £10.95 to £12.95. Their other dishes include Grilled sea bass, Pan friend fillet of sea bass, Fillet steak, Pork fillet to name but a few. The Vine is fairly affordable, if not slightly expensive, although you can take advantage of various set menus, which include 3 courses for £17.95 from 5pm till late, Tuesday to Thursday and selected time at the weekend. Piccolinos is found on Brook street in the centre of Ilkley. It’s an inviting and sophisticated restaurant with a spectacular rooftop area and an equally delightful decor across it’s several floors. It’s hard to miss as you walk down the main street in Ilkley with its large window front which often display scenes of satisfied diners indulging in the great quality food on offer here. 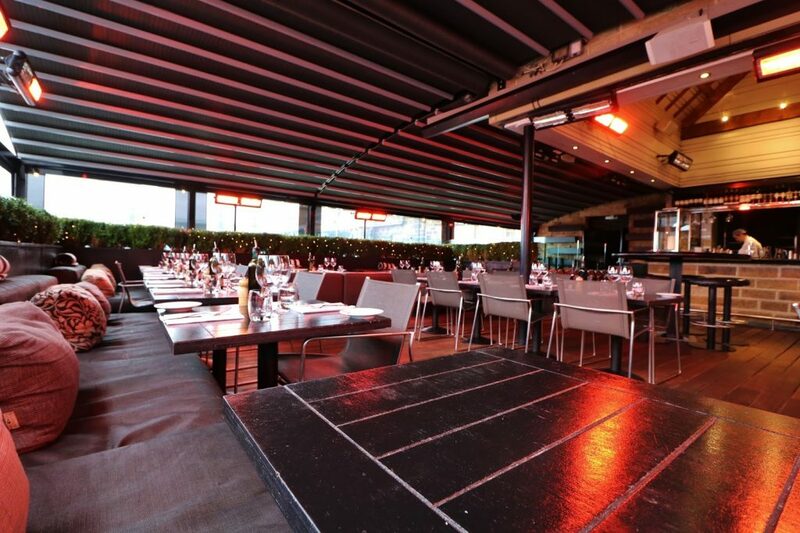 Piccolino’s specialises in Italian cuisine, although the menu is rather more diverse. They are well known for having a great Sunday lunch offering, and their a la carte menu has both classic and modern dishes, including the likes of Calzone and Pizza. As well as their extensive menu, they have a great selection of cocktails and a generously stocked bar of spirits, beers and wines. Piccolinos is fairly good value for money, although as it’s part of the Club Individual group of restaurants, they often provide special offers to entice you in. Bistro Saigon, 1A Railway Rd, Ilkley LS29 8HQ. Bistro Saigon is one of the most unique restaurants in Ilkley. It specialises in authentic Vietnamese cuisine and is pioneered by Head Chef Loc Bui, who was born in the old capital of Vietnam, Saigon. When he moved to the UK and set up his restaurant with partner Paula Cooper, he brought with him generations of family recipes and to great response. It’s a charming recipe which focuses on great food and great service. Their dishes are made to order and combine the aromatic, diverse flavours of the orient to deliver a fantastic experience for those new to Vietnamese food as well as those more well versed in the cuisine. On the menu you’ll find everything from Mango and Mooli Seabass to Tofu in Satay Sauce. There Pho is delicious and you’d be pushed to find anything quite as authentic in the Leeds area. There menu is enormous, with a big selection of starters and main dishes, which cater for both meat-eaters and vegetarians alike. You can expect to spend anywhere from £5.80 to £.7 for starters and £11.50 to £15.50 for a main. They have separate menus for lunchtime too, which offer smaller dishes which are less expensive. Quinta Bar & Grill are one of the newer restaurants to have made their culinary mark on the Victorian spa town of Ilkley. Serving good quality Mediterranean food made with locally sourced ingredients, it has quickly become a favourite with locals. 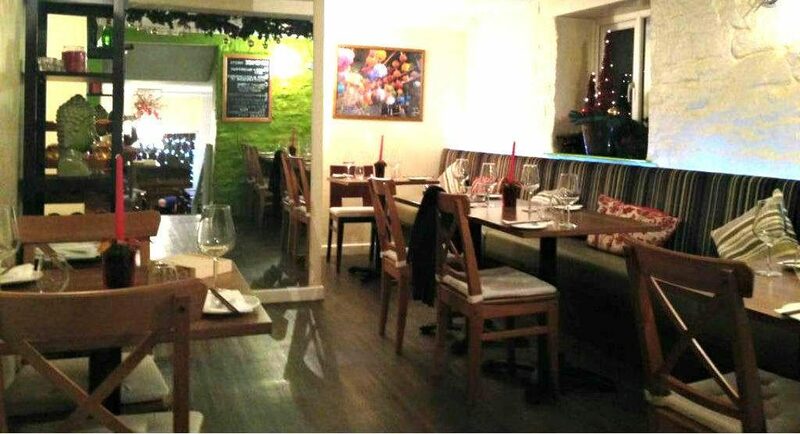 With both a cosy interior restaurant and an attractive al fresco dining area, it’s a great place to eat all year round. On their menu of Mediterranean-inspired delights, you’re bound to find something to tempt your tastebuds. Begin with fresh Lobster Ravioli served with a Langoustine Bisque before tucking into a main of Mushroom Arancini Balls or Gressingham Duck Breast. At Quinta Bar & Grill, starters begin at £6.95 and main courses are priced between £15.95 and £22.95. Additional sides will set you back £3.50 each. 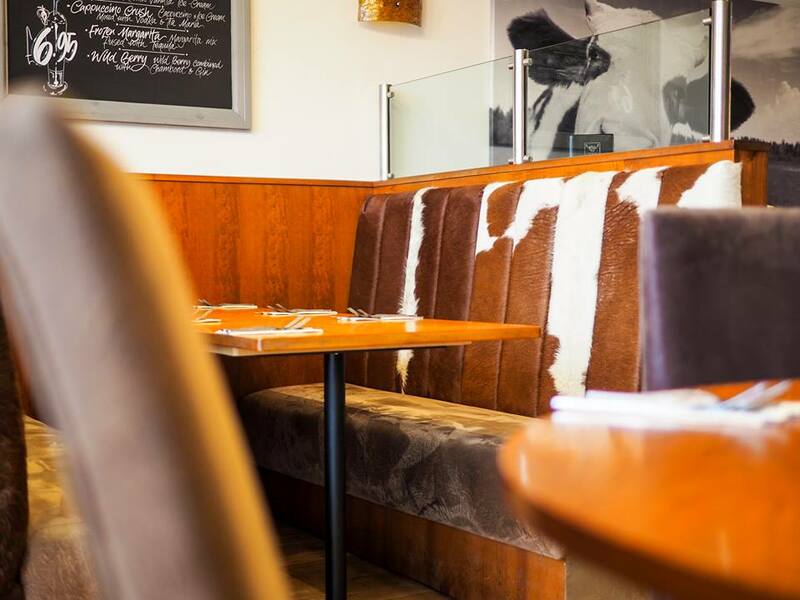 Formally known as The Moody Cow, this independent steakhouse, bar & grill serves some of the best steaks in Ilkley. All of their ingredients are locally sourced and the steaks served at The Ilkley Cow come from locally reared livestock. If you’re passionate about meat and appreciate good quality cuts, then this place won’t disappoint. However, even if meat isn’t your thing, there is a whole array of wonderful dishes on offer at The Ilkley Cow. Their starter menu is pretty impressive to say the least. There are some truly tantalising dishes to choose from on there, including Pulled Pork Scotch Egg, Spiced Cauliflower Fritters and Drunken Mussels. Thankfully, they offer a sharing platter for those of us who are a little indecisive! In addition to the five different cuts of steaks available, they have a great selection of house specials and burger options on their main course menu. Prices here begin at £4.95 for starters and just £11.95 for a main. If it’s a steak you’re after, then prices for these begin at £19.50 for the 10oz Rump. All in all, it’s pretty reasonably priced and you’re guaranteed to be served some of the finest ingredients from the area. As always, this is a growing list, so don’t take offence if we’ve missed someone. We’re more than happy to receive any suggestions of restaurants in Ilkley that you think we may have missed. Feel free to email declan.connolly@theyorkshirepress.co.uk with your suggestions.